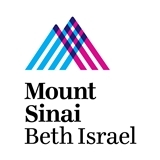 The physicians and staff of Mount Sinai Heart at Mount Sinai Beth Israel are committed to the improvement of life by the expert diagnosis and treatment of cardiovascular disease, by teaching, and by research. Dr. Navarro is very professional and informative. Excelente Doctor Luis Aybar, lo recomiendo 100%, se tomó su tiempo, contestó a mis inquietudes, muy amable y te hace sentir confortable, y todo el personal que trabaja a su lado son muy amables, te hacen sentir comodos, Dios los bendiga grandemente. Liked this doctor. He is very kind and took his time w/ me. Made me feel very comfortable. I arrived early; front desk exceedingly polite and helpful. Called within 5 minutes of appt. Doctor Mayer was thoughtful, easy to communicate with, and based upon my past experience thorough in his examination. I needed to make several follow-up appts. Made appts quickly and easily. Excellent experience all the way, beginning to conclusion!